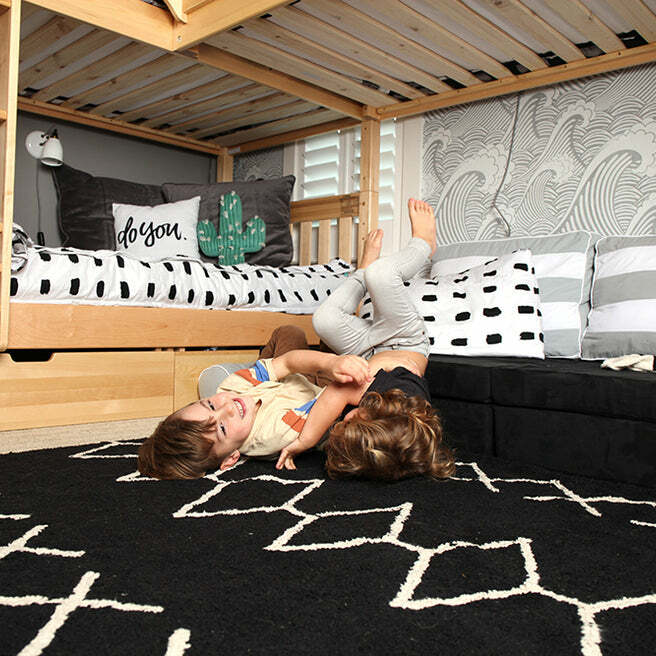 Now you can sleep three without sacrificing all of your floorspace! 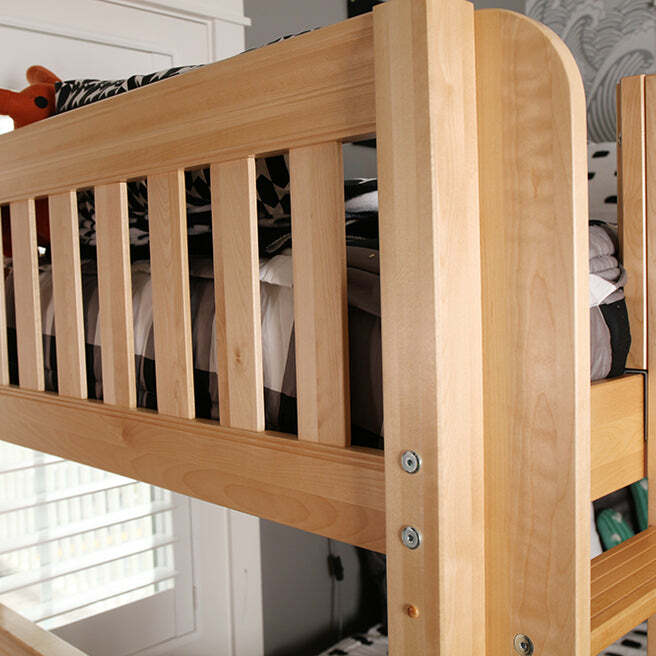 We combined a bunk bed + loft bed in a unique “L” shape, designed to fit perfectly in the corner of a bedroom. Use space under the raised bed for storage, study or play. Choose any combination of straight or angled ladders. 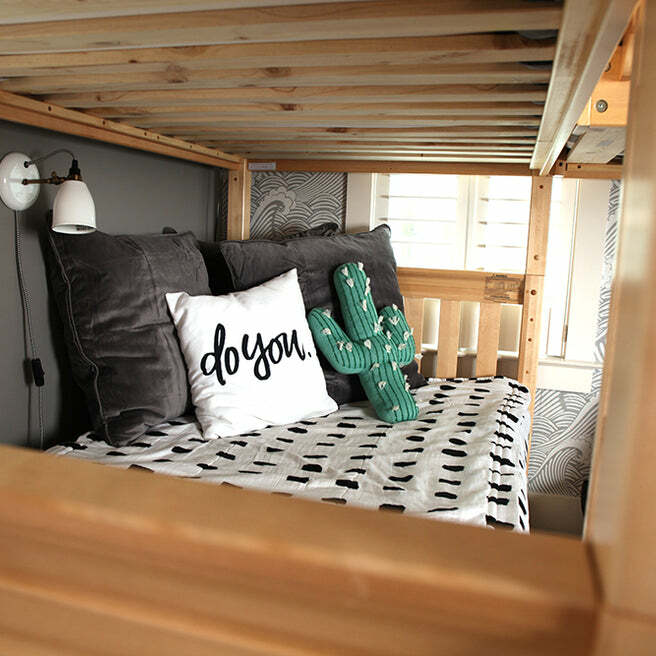 Our corner loft bunk is just that – two beds stacked on one side are connected to a single raised bed on the other. The result is a super functional “L” shape that fits perfectly in your bedroom corner. Overall: L: 122" x D: 80" x H: 66.25"